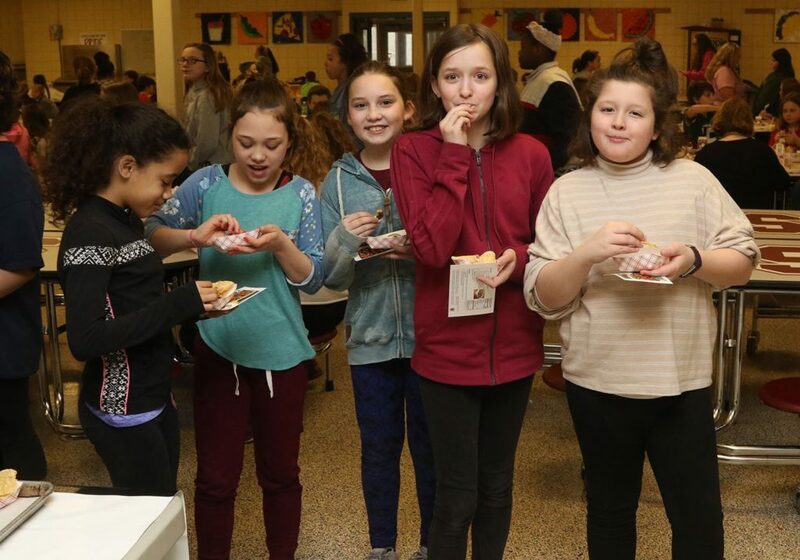 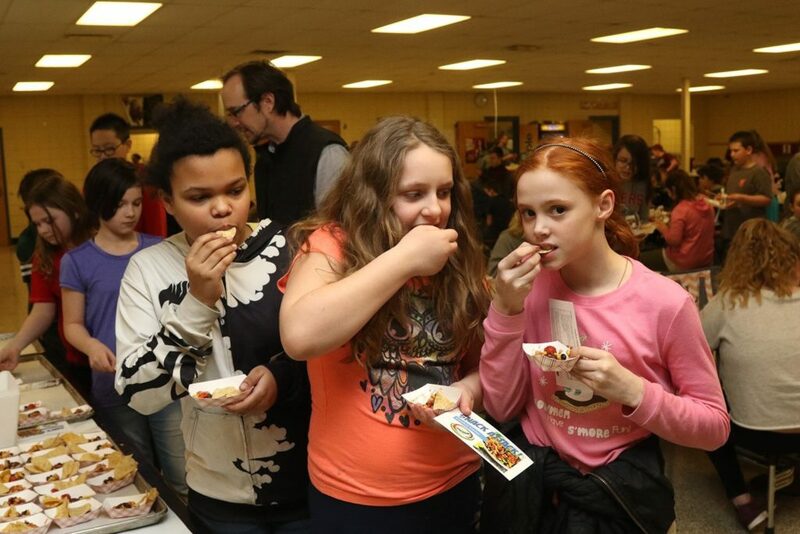 On March 21st, Sidney students sampled “cowboy caviar” – a mix of corn, tomatoes, onion, kidney beans, and black beans. 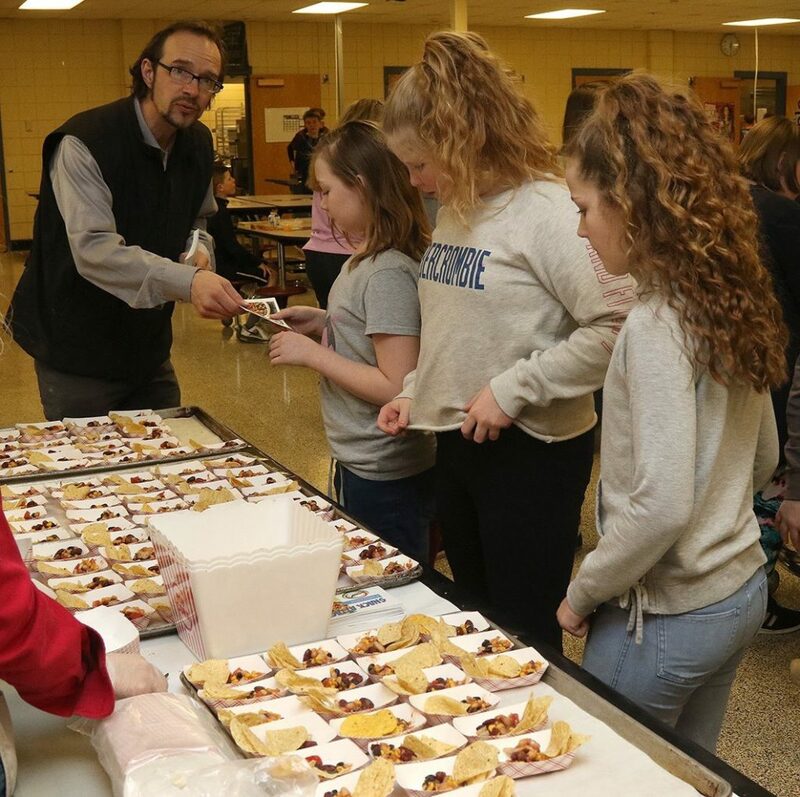 In order to keep up with demand, a dozen student volunteers rolled up their sleeves to dice tomatoes, chop onions, and sprinkle cilantro on each portion. 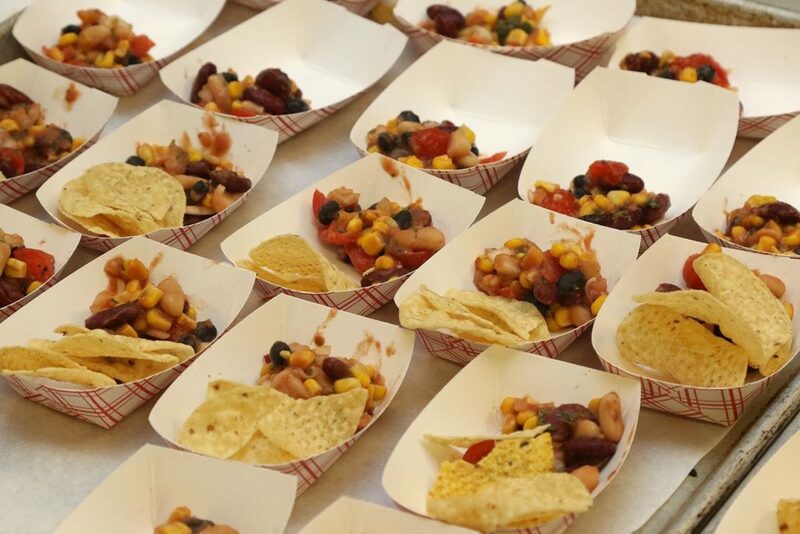 Next month’s snack attack will feature mango salsa.